Search engine optimisation is a dynamic field requiring an abundance of different factors that enable search page rankings to increase. Over the past few years we have seen a shift in search engines, such as Google, placing authority into ever changing digital efforts. Long gone are the days of buying your way to the top! 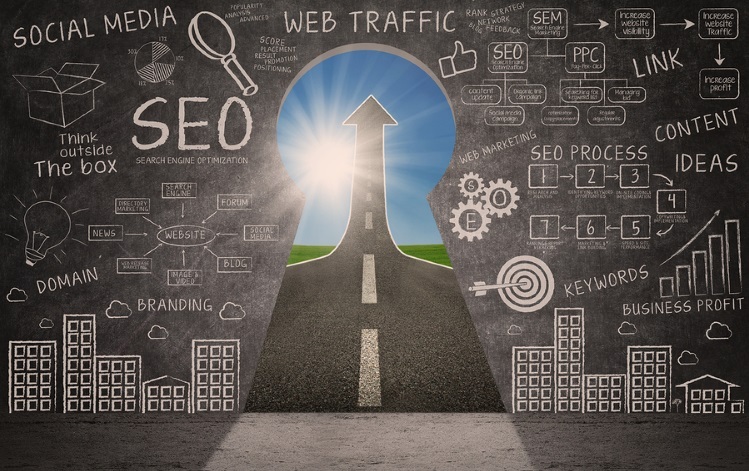 Keywords, meta tags and title tags, to name a few, are all credible methods of improving your SEO rankings, however, what does Google’s algorithm lean toward nowadays? Good content! Search engines nowadays aim to generate the most effective and unique user experience when directing traffic, resulting in those who offer valid and insightful content being most likely to accumulate higher visibility. According to Brafton, 92% of Marketers state good content creation is either very effective or somewhat effective within a digital marketing strategy. Braftron.com also suggests that 52% of consumers’ purchase decisions are influenced by reading good blogs and 61% of consumers are more likely to purchase goods from businesses that offer custom content. So, offering something of value within your online platforms seems to be a significant step to take in your SEO efforts, right? “If you expect to rank in Google in 2014, you’d better have a quality offering, not based entirely on manipulation, or old school tactics”- Shaun Anderson, Hobo-web.co.uk. Writing blind content and hoping interest will generate itself is not the route to go down. Firstly, identify your target audience and grasp a strong understanding of what makes them tick. Send out surveys, gain reader feedback, or just generally read into your target market before even starting to plan your content. Instant.ly provides an effective and easy to use tool to efficiently gather information and records regarding consumer buyer personas, buying behaviour, perceptions and attitudes. The next step is to determine what content you want to produce, in order to harness maximum interest from your target market and determine what channels to go down. Below is a content marketing matrix sourced from Smart Insights. The infographics sole purpose is to aid the generation of great content, by simplifying and correlating the dimensions within consumer thought processes and what you as a business are trying to achieve, as well as suggestions in what platform route to go down in correlation with what you are trying to achieve. Before any writing or content production begins, ensure you have adequately researched into your chosen topic. Read, then read again! Look into what industry experts are saying, then identify gaps. Search engines love unique quality content, so introducing fresh concepts to the playing field may just entice Google into ranking your brand. When writing content, it is vital you are perceived as a credible and informative source enabling web readers to trust your content, meaning no promotions or heavy selling! Your content needs to harness and exploit every aspect of the chosen topic that will interest and help the reader, and also provide further reading. By citing or generating links to relative informative sites, the consumer will perceive your brand as a credible source of useful information. Provide your reader with real information they can implement themselves. Dictation is dead. Don’t tell your reader what they need to be doing, instead, offer informative suggestions for them to take away and personally action. When deciding on how to make the content actionable, think of the consumers end experience. For instance, “what do you want the reader to do?”, turn this into a clear conversion within your content. Over complicating things also leaves the reader baffled and unlikely to share or promote your content. When writing content, don’t make it look like an effort to read! Consumers want to be able to scan through articles, blog posts or any form of content without been struck with an hour long task. Ways of doing this include; using eye catching headings, not overwriting paragraphs and using different fonts, bold or italics to easily create emphasis on certain sections – where you can, try and implement images or infographics into the mix. Jeff bullas provides an interesting article regarding the importance of infographics in content marketing. Original content is King! Wherever possible, make sure you are actively searching for original and fresh content. Search engines generally give penalties to those copying other sites’ content, which when trying to improve SEO, is not a good thing. Also make sure your content is thought-provoking, this will enable the consumer to think more into the topic. Try leave the reader with questions regarding how they can implement what they have just read. Consumers love stories, therefore, where possible implement relevant story formats into your content. Jason Clegg writes further into storytelling and how it improves content marketing.